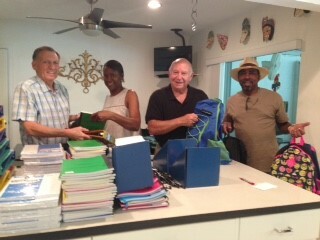 Many thanks to David and Katrinka Cox, Howard Horowitz and Tom Boswell who packed 45 back packs with school supplies Sunday. 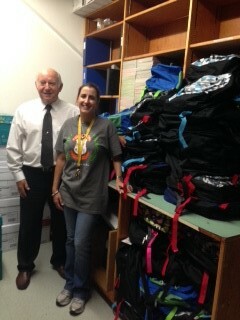 A special thank you to David Cox for picking up all the school supplies at Big Lots. 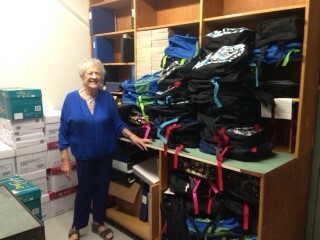 Wednesday, they will be delivered by Tom to Palmetto Middle School for their needy students. 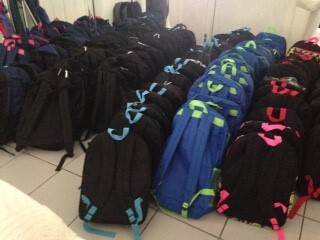 A sweatshirt and another shirt will be added to the back pack when it is picked up by the student. This project was made possible by a matching grant with the district.